Paul Katz has had an illustrious career as a cellist, giving thousands of concerts with the celebrated Cleveland Quartet, winning a GRAMMY award, and mentoring some of today’s finest cellists. In 2010, he launched the website CelloBello.com, an online educational resource for both amateur and professional cellists. 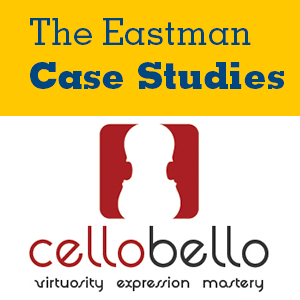 This case study reviews early partnerships as well as organizational changes Katz made to CelloBello and provides audience analytics for the website. As the organization develops plans for expansion, Katz needs to determine how to support the sharp rise in anticipated expenses.